There’s an inherent romanticism in the fashions of bygone eras: a nostalgia for past traditions and genteel times. This is especially true for the turn-of-the-century eras, when many Western societies exalted formality, grace, and elegance in all things—including their jewelry. Edwardian engagement rings are no exception. The Edwardian Era (1901-1910) is named for King Edward VII, son of the second-longest reigning monarch in British history, Queen Victoria. While his mother’s extensive reign brought prosperity and advancement, Edward’s short time on the throne—he ruled for about a decade—was the calm before the storm of World War I. 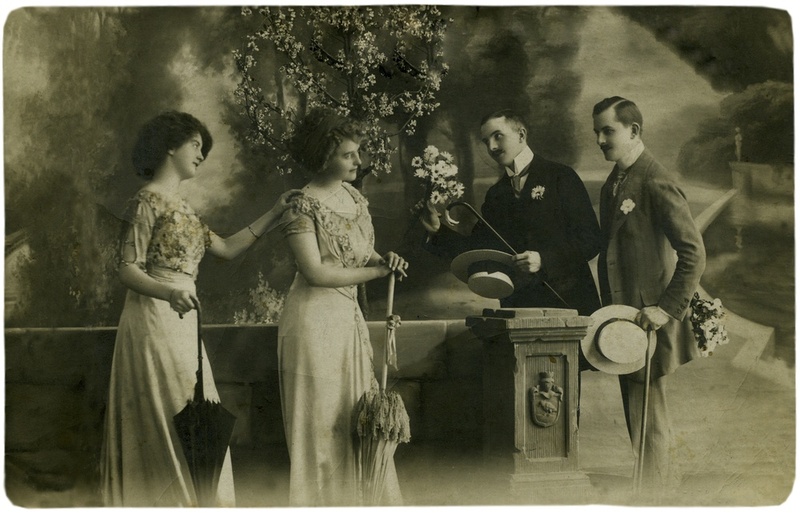 The Edwardian Era elevated elegance in both fashion and jewelry, with Victorian innocence and austerity replaced by an extravagant era of fashion known as La Belle Époque (translation: beautiful era). Edwardian Era jewelry was intricately crafted. Every detail was dotted with intricate designs and jewels. Bow designs dripped with diamonds in lace-like motifs. Chandelier earrings sparkled with swirling details, and milgrain beads dotted their way around gemstones and diamonds. Milgrain patterns became one of the hallmark features of Edwardian jewelry, and these tiny dots of metal are prominently used in today’s modern vintage-inspired designs. In an era that was renowned for its elegance and splendor, it should be no surprise that Edwardian jewelry was often crafted from the most luxurious metal: platinum. 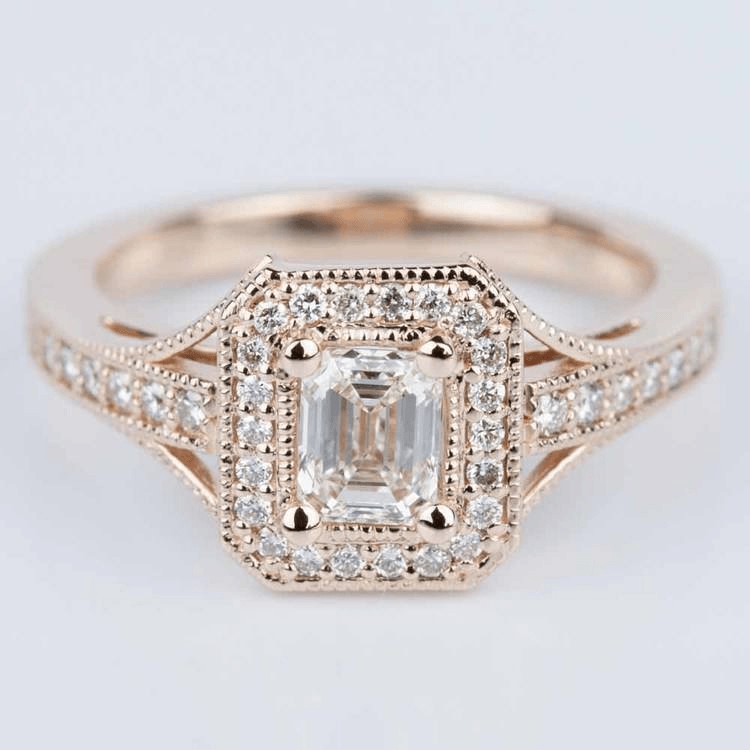 Edwardian engagement rings embody elegance, extravagance and amazing intricacies; these beautiful designs are highly coveted by modern fashionistas. However, choosing an authentic Edwardian Era engagement ring might cost more than the engagement budget allows, and, unfortunately, Edward reigned long before the Kimberley Process came into effect to stop the sale of blood or conflict diamonds. While an antique engagement ring is amazing and unique, many will feature conflict diamonds, which can be an ethical issue for many buyers. 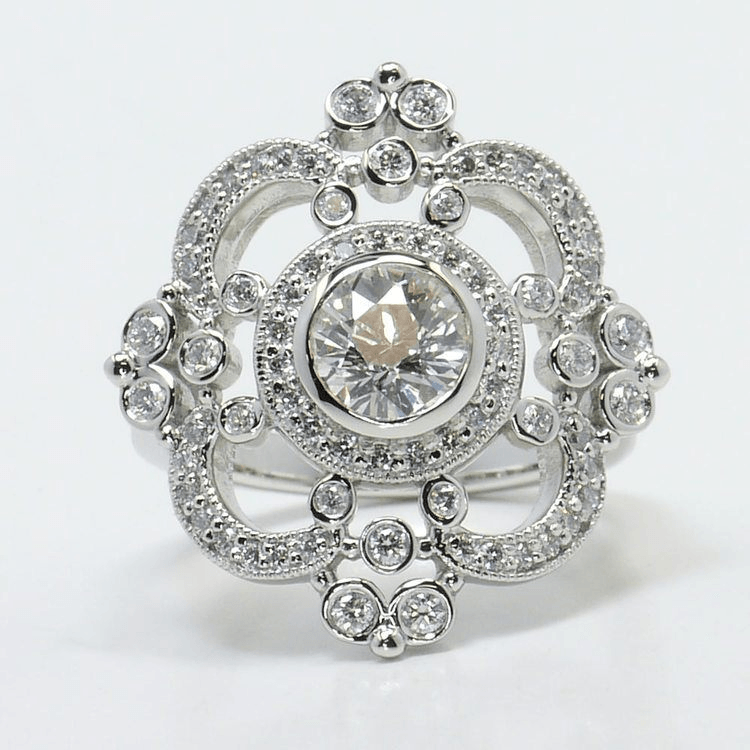 If you love the look of Edwardian jewelry, choose a ring that’s inspired by this long-gone era. Edwardian-inspired engagement rings feature ethically sourced diamonds set within delicate lace-like motifs or dotted with milgrain details. 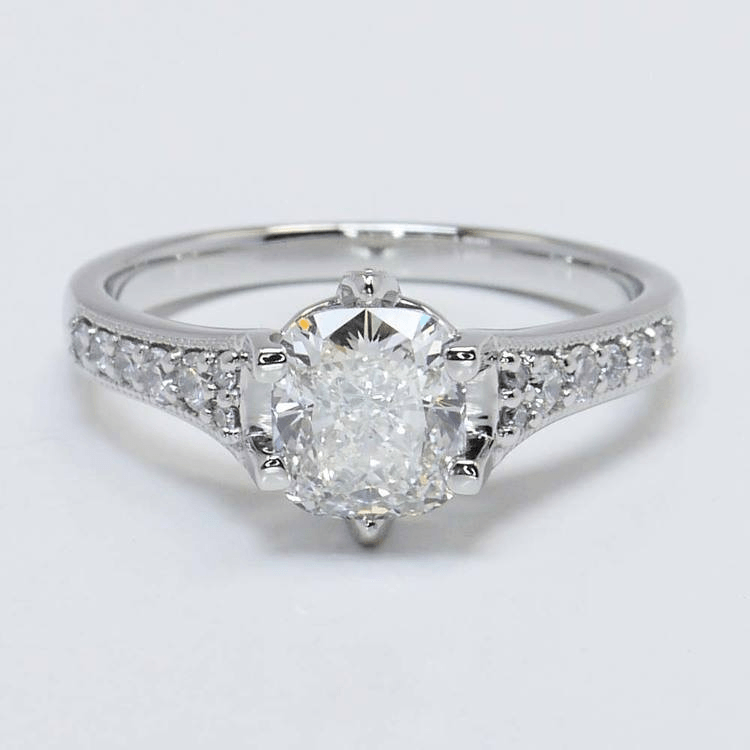 Of course, you also can choose a centerpiece diamond to ensure that your ring fits your budget. Say yes to the excess and bold beauty of King Edward’s reign with a ring that features diamonds and more diamonds! This Edwardian-milgrain inspired ring features a classic emerald diamond surrounded by a diamond halo with a diamond eternity band. Rose gold, while it peaked in popularity during the Victorian era, has seen a resurgence in popularity and makes a great choice for statement antique rings. Some rings take the design details to beautiful and amazing heights. 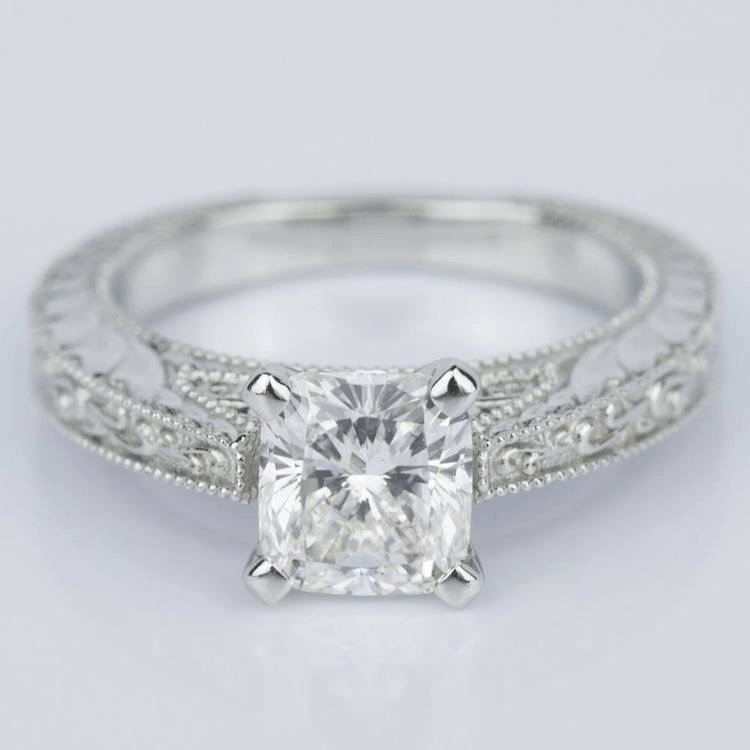 The Milgrain Royal Halo Custom Engagement ring is fit for royalty. Swooping diamond-encrusted ribbons accented with milgrain beadwork weave around a diamond halo that frames a nearly one-carat round brilliant diamond. 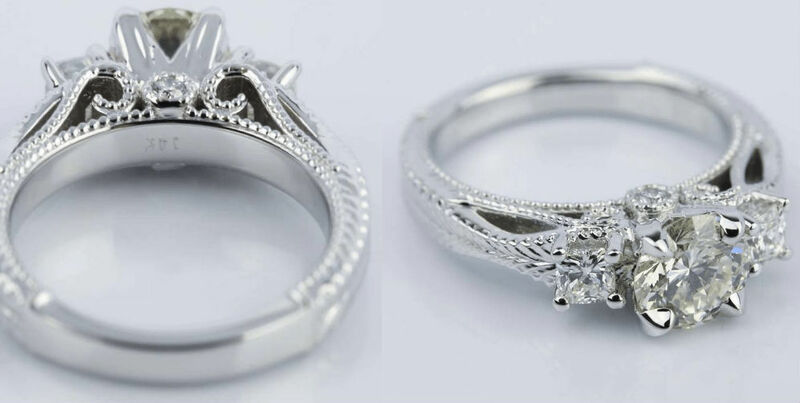 This ring is set in platinum and also features 0.85 carats of diamonds within the intricate setting. While King Edward VII reigned for less than a decade, his legacy lives on in jewelry designs crafted during this elegant time period. Use these beautiful and unique rings as inspiration to find your own Edwardian engagement ring, or even design your own regal ring for bespoke Brilliance!